California Forklift Certification, Get Your California Forklift License Today! Offering beautiful weather and plenty of sunshine, California is home to ample job opportunities for forklift operators. As the 3rd largest state in the nation, spanning more than 158,700 square miles, the state’s coastlines provide thriving shipping and warehouse industries. Heading inland, California offers large airports and bustling industrial facilities that hire forklift drivers. For those holding a California forklift certification, there is a high demand for your skills to keep shipping, logistics, warehouses, construction, and many other job sectors running smoothly. With CertifyMe.net by your side, you’ll receive the training and forklift certification in California you need to benefit from the growing job market. California’s economy is larger than most countries. Someone has to move product, load trucks, manage inventory, and help warehouses with their merchandise. With forklift certification in California from CertifyMe.net, you can become a vital part of the Golden State’s thriving economy – and also land a better paying job! If you need help with California forklift certification requirements, CertifyMe.net is here to help – call us today at 888-699-4800. If you’re an employer of forklift operators in California, it’s even more important for you to look into the proper California forklift certification cards your drivers need. Obtaining a California forklift license is an important part of any safety program – and it’s the law! Learn what these requirements are below. Why Get Forklift Certification California? As an operator, achieving your California forklift certification allows you to benefit from a stable career choice, since forklift drivers are always in high demand. Warehouses, construction sites, and many other industries heavily rely on experienced and certified forklift operators to keep business productivity high. 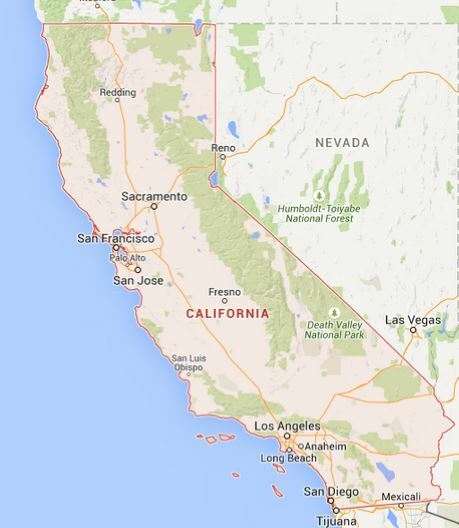 You can find job opportunities all over California, from San Francisco to quaint little towns. Once you choose where you’d like to live and work, get your forklift certification in California to qualify for the best jobs. Whether you’re working in one of California’s large cities like Los Angeles or a smaller suburb, you’ll have the opportunity to work in a variety of sectors surrounded by interesting people. California is home to many great companies, like Nestle, the LA Dodgers, and a world-class airport, and you will have many exciting opportunities to find the perfect career to put your certification to good use. But you have to get your California forklift license first! With the proper training and certifications, starting salaries for forklift operators in California average from $10.00-$13.00 per hour, although, many companies pay more based on experience. A valid forklift certification California proves to employers that you’re able to safely complete tasks while abiding by OSHA and state regulations to reduce the risk for workplace accidents. As a result, you’ll develop a strong career and stable future because forklift operators will always be needed. Additionally, you’ll have the knowledge and tools needed to protect your life on the job. All these benefits come with every California forklift license. You can also have your pick over the type of job and work environment you want to work in. Do you love being by the water? Become a dock worker with a California forklift certification. Does the idea of working in the movie and music industry in Hollywood excite you? Become a certified forklift operator that handles, carries, and lifts props and stage equipment. You don’t have to be a star to brush shoulders with celebrities! All you need is the proper forklift certification in California. While it may be the operator who needs to complete the training and be certified, it is an employer’s duty to supply this training and ensure all forklift drivers have an up-to-date California forklift certification. If you have employees operating forklifts for your California business, you need to make sure you are following all laws and regulations concerning training and forklift certification in California. Employers must confirm that all employees who operate forklifts are competent to operate them safely following the successful completion of training. Forklift training must involve formal written instruction, practical training, and a skills evaluation to qualify employees for their certification cards. Training content must include truck and workplace related topics. Refresher training is required at least every three years, or sooner if an operator is caught performing unsafe practices, is involved in an accident or near-miss, or the environment or type of forklift being used has changed. With that being said, it would be best and most convenient to find a forklift training program that covers all of these requirements. Luckily, CertifyMe.net has you covered. Whether you’re moving cargo, construction materials, or helping in a warehouse, your forklift certification in California will provide you with a great future. In addition to a stable and thriving career, you’ll enjoy the great weather, famous landmarks, and an abundance of opportunities for both your professional and personal life. No matter if you’re heading to the beautiful coast of Southern California or the breathtaking mountains of Northern California, a forklift certification with CertifyMe.net opens the door to a whole new potential. If you’re an employer in California who hires forklift operators, it is only in your and your business’ best interest to ensure all operators are trained and certified with an OSHA-compliant certification. The forklift courses from CertifyMe.net are completely compliant with all OSHA regulations and teach drivers everything they need to know to operate forklifts safely and properly. Easily complete the requirements for a California forklift certification around your own schedule. Complete the training from home, work, or anyplace you have an internet connection. Compatibility throughout California and the U.S. With your California forklift license, you can get a forklift driving job anywhere in California, or across the United States. CertifyMe.net training is good throughout the United States. Skip the costly expenses of traveling to an offsite facility, paying an instructor, and covering employees’ travel costs and time-off. Save thousands of dollars in the future by preventing injuries and equipment damage. Better on the job efficiency. Sure, our training will help you become a safer forklift driver. But you’ll also become a more skilled driver, too! Receive free certification renewals for life! English and Spanish language courses. For a state like California, that’s an immense benefit! All of our forklift certification in California is available in both languages.